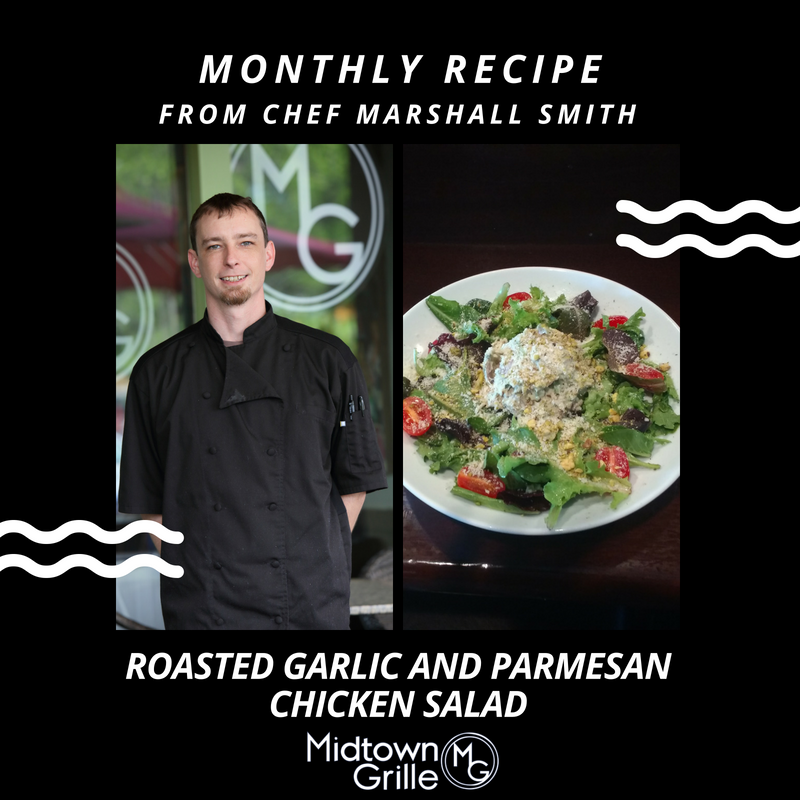 We are excited to start a new monthly feature where Chef Marshall Smith will be sharing the recipe for one of his favorite meals! We are kicking things off with his Roasted Garlic and Parmesan Chicken Salad. This dish is perfect to serve to the whole family and can also be made into a sandwich or wrap if you prefer. Season the chicken with salt, pepper and rub gently with olive oil. Place chicken in a deep pan with a rack to catch the juices. Cook to a minimum internal temperature of 165 degrees Fahrenheit, approximately 1 – 1 ½ hours. At the same time, roast the garlic halves cut side down on a small roasting pan with a small amount of olive oil until golden brown, approximately 30 minutes. Once the chicken has cooled, pull the meat from the bones and rough chop. Strain the drippings and add to the chopped meat. Discard the skin and bones unless you want to reserve for stock. In a bowl, combine the mayo, roasted garlic, herbs and lemon juice. Mix well. Finally, combine the chopped meat, mayo mixture remaining ingredients. Stop in and let Marshall know how your home cooking went! 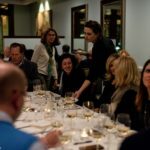 Have a dish you are dying to learn to make? Email General Manager Mark Johnson at mjohnson@shgltd.com and it may become next month’s feature!